Sandy white beaches, beautiful blue water and a gentle island breeze is the perfect setting for your dream wedding and honeymoon! 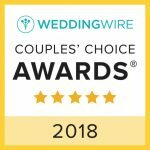 Whether you are planning an intimate wedding for the two of you, inviting a group of your closest friends and family or planning a romantic honeymoon get away, the wedding professional at Harmony Travel will help take the stress out of planning your destination wedding, vow renewal or honeymoon. Why trust one of the most important trips you will ever plan to a travel agency or online website with no wedding experience? With over 31 years in the wedding industry, our wedding professional will help you select the perfect location for your destination wedding and honeymoon, navigate through the necessary paper work, make reservations and plan your perfect Caribbean getaway. We also offer onsite destination wedding coordinating services at our favorite All Inclusive Resorts. Visit our Harmony Travel website. Discover the endless possibilities for your destination wedding or honeymoon at Harmony Hall Estate.